Leona Fay Warren, 79 year old former Woodward resident, died Saturday, September 1, 2018 in Oklahoma City, Oklahoma. Grave side services will be held at 3:00 p.m. Thursday, September 6, 2018 in Elmwood Cemetery with Pastor Chris Ames officiating. Leona was the second born twin born on November 2, 1938 in Woodward, OK to Ray and Mae (Sharp) Doyle. As toddlers, Leona and her twin sister, Neoma, came to live with Tommy and Edith Weaver on a farm near Gage, OK. When Tommy and Edith moved their family to Donna, TX, in 1946, Leona and Neoma moved with them. Leona graduated from Donna High School in 1959. She worked in the family grocery store in Donna. In the summer of 1967, Leona attended church camp meeting in Lufkin, TX and met Carmen Sidney Warren. They were married on December 18, 1967. They moved to Houston, TX after they got married. They lived in the Houston area until they moved to Woodward, OK in 2001. She and Carmen enjoyed going to the Senior Citizen Center. Leona never had children but she loved her nieces and nephews dearly. Leona loved to spend time with family. She was always happy and never complained. Leona fought several battles with cancer. After surgery in 2016 and fighting dementia, Leona wasn't able to care for herself and ChaCha Garza became her care giver. 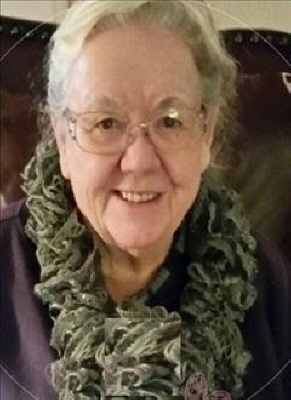 She moved to Oklahoma City in 2017 and lived with Keith and Melba Woods. ChaCha, Bianca Woods Hill and Melba cared for her around the clock. She continued to be cheerful and not complain through the fight. She was a strong woman and even when asked if she was hurting, she never complained. She was a faithful member of the United Pentecostal Church in Woodward and in Edmond. She loved her Savior and going to church to worship him. Leona was preceded in death by her husband, Carmen Warren, parents Tommy and Edith Weaver, sisters Neoma Weaver and Pauline Everson, brothers Harold, Paul and Eugene Weaver. She is survived by her brother in law Gary Everson and sister in law Willie Boswell, many nieces, nephews, cousins and friends. To send flowers or a remembrance gift to the family of Leona Fay Warren, please visit our Tribute Store. "Email Address" would like to share the life celebration of Leona Fay Warren. Click on the "link" to go to share a favorite memory or leave a condolence message for the family.